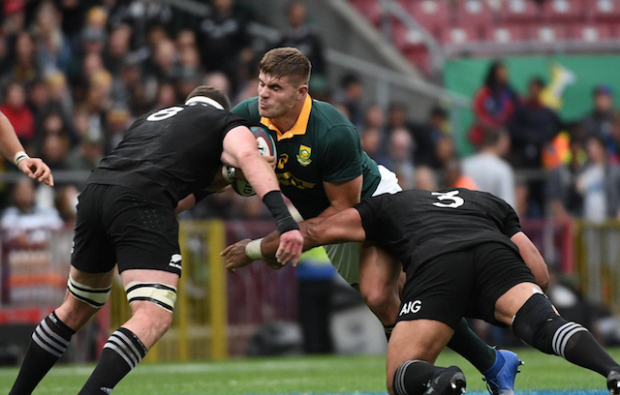 Rassie Erasmus says the Boks need to take it step-by-step in order to ‘chase down’ the imperious All Blacks, writes CRAIG LEWIS. The All Blacks made an early statement of intent in the Rugby Championship as they overturned a six-point deficit to ultimately power to a 38-13 bonus-point win over a willing but outclassed Australia in Sydney on Saturday. The world champs will next face the Wallabies at their Eden Park fortress, before then hosting Argentina and South Africa. It’s the ideal schedule for the All Blacks, who have claimed the Rugby Championship title for the past two years (Australia claimed the trophy in 2015), and remain odds-on favourites to make it three tournament triumphs in a row. 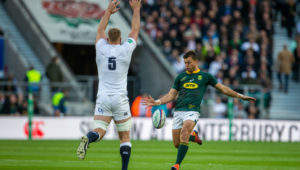 With the Boks having made a solid start to the Rassie Erasmus era, though, there is some hope that renewed life will be breathed into the famed rivalry with the All Blacks. It also can’t be forgotten that these two teams have been grouped in the same pool for next year’s World Cup. However, when reflecting on the opening round of the Rugby Championship, Erasmus reiterated that some perspective was required. ‘We’re all chasing them [the All Blacks], I think we’re six in the world [rankings], and we have to chase down five teams to become No 1. You can see where they are, after being 6-0 down, they smashed Australia at home, such is the class they have. 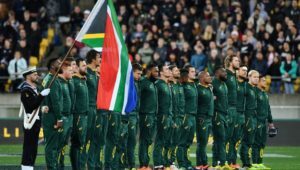 This season, the Springboks will first come up against the All Blacks in Wellington on 15 September, while the ‘rematch’ will be played at Loftus on 6 October. 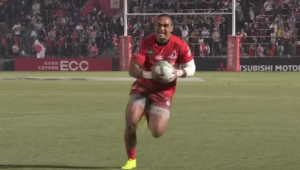 Last year, the Boks were embarrassingly hammered 57-0 in Albany, before rebounding to come within a couple of points of victory in the final clash at Newlands. 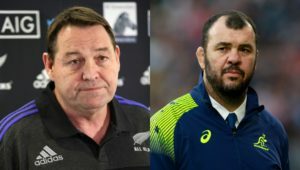 That narrow defeat was referenced by Argentina coach Mario Ledesma when he was asked on Saturday whether it was a foregone conclusion that the All Blacks would run away with another Rugby Championship title.